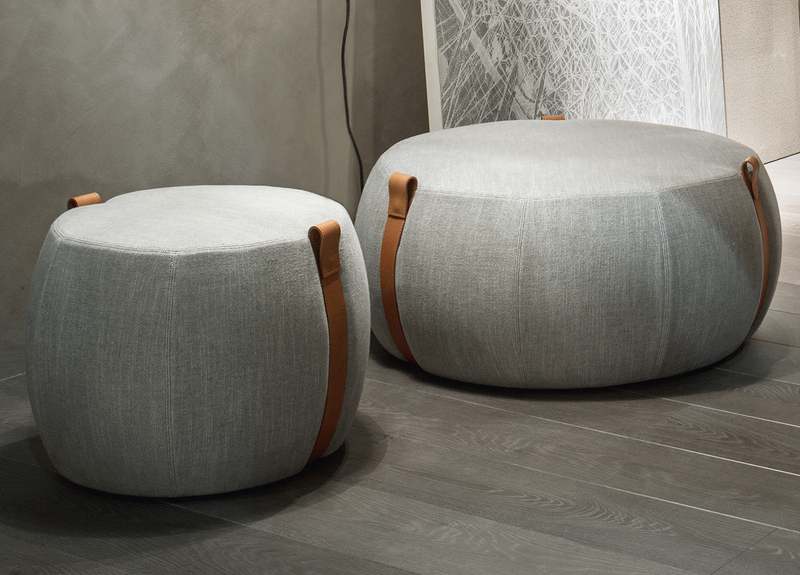 Notch pouf is available in two sizes, a variety of fabrics and straps in aged natural leather. Size large: D 850 H 400 MM. Size small: D 550 H 430 MM. Fabrics: See the specifications for details. 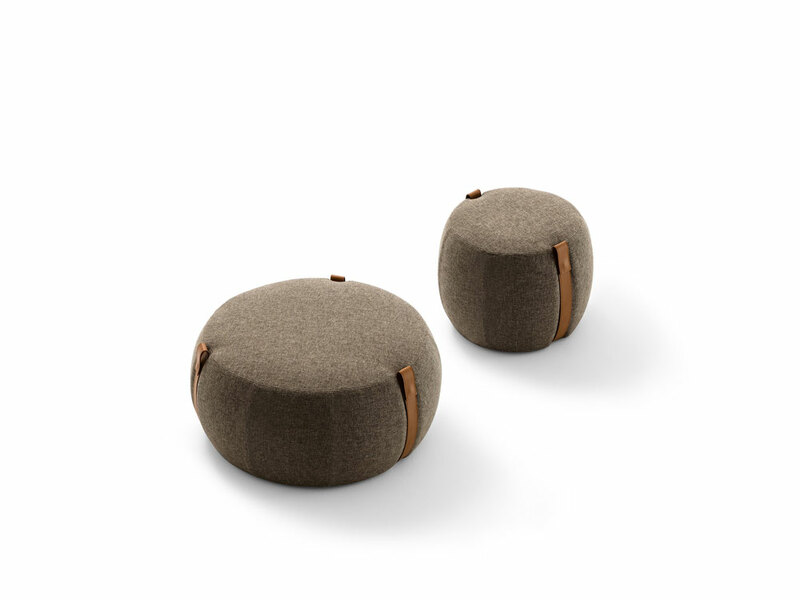 Ironic and funny, without excesses, Notch pouf by Johan Lindstén, is a prèt-a-porter proposal based on a creative lymph influenced by the charm of modern nomadism. 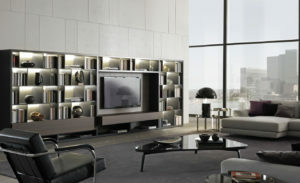 Thanks to its strong empathy, it is perfect in home and contract spaces. 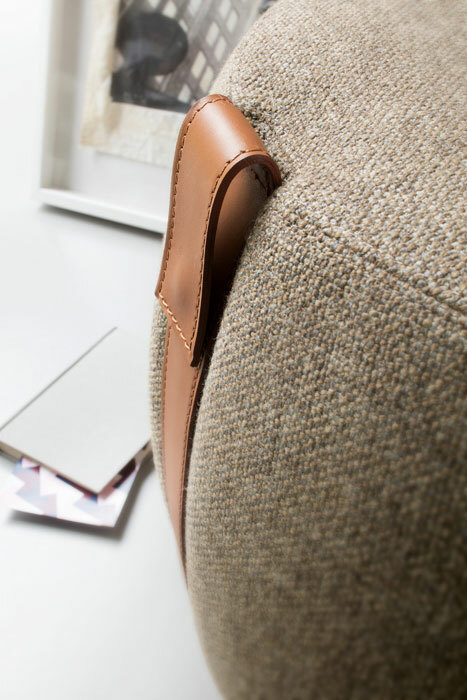 Available in two sizes, small and large to use also paired, it stands out for the softness of the seat in fabric and sought-for details like the straps in aged natural leather, that exalts the brand’s passion for the care to details. 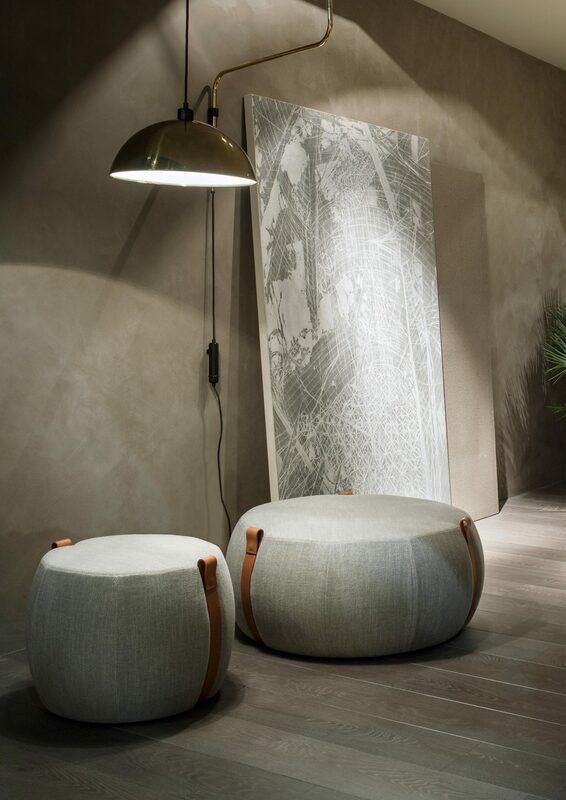 The elegant straps also feature handles to easily move the pouf, combining aesthetic and function according to the philosophy that has always distinguished Lema production. Johan Lindstén was born in 1981 in the heart of Möbelriket, the furniture kingdom of Sweden. 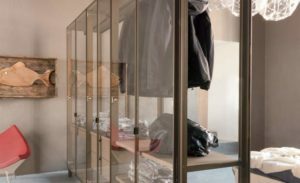 He successfully graduated from the programme of furniture design in Stockholm in 2008, and quickly went on to establish the independent design studio, Johan Lindstén Form. Due to his very personal approach of expressing his emotions and thoughts by forming them into unique physical objects, his design soon set him apart from competition. 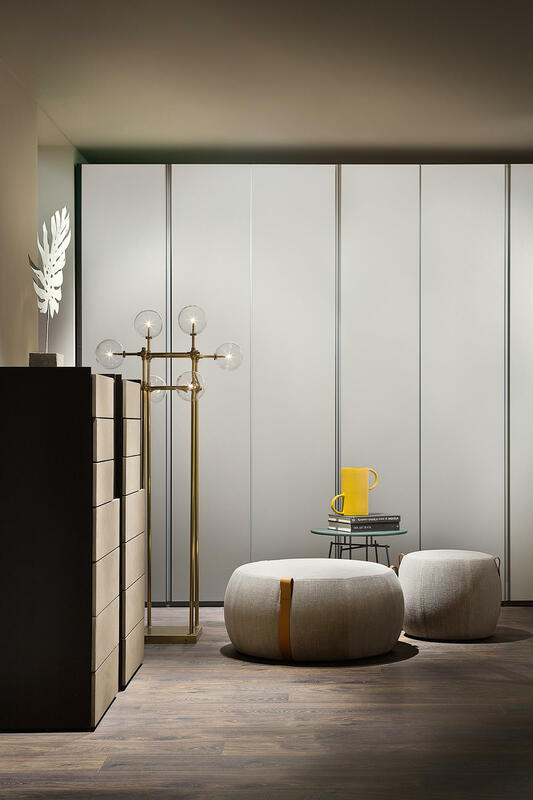 By bonding with the user in a very personal and sensual way, his design is able to enlighten the state of mind and make the surrounding environment more beautiful and joyful. 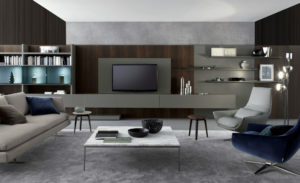 Lindstén Form co-operates with many renowned companies in the industry, including LEMA, Cappellini, Johanson, RocheBobois, FotnanaArte and Gärsnäs.